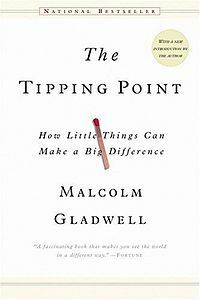 The votes are in and the winner is The Tipping Point, by Malcolm Gladwell. I have read his other books, use Outliers in a training session with leaders, and am excited to read this book together. This book club will get The Tipping Point off my nightstand and into our collective minds. The book club will begin next Monday and I will post on a chapter a week. Counting the introduction, it will take us nine weeks to read together. Please find, borrow, buy, share, download, or check out a copy of the book to participate (there are still libraries out there). The goal is to have each of you reply to the weekly post and/or each other every week. If you have any questions please let me know. Maybe together we will learn how our small actions will make a big difference. Previous Post Are you always the Good Guy/Girl?